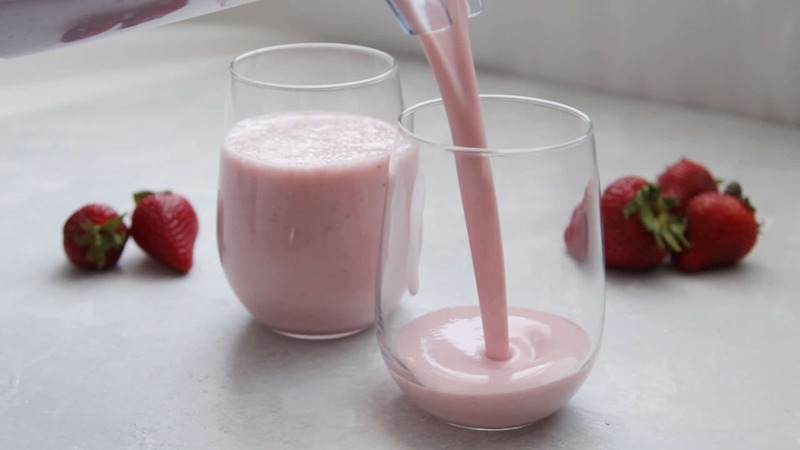 This greek yogurt smoothie recipe made with strawberries, bananas, greek yogurt and almond milk is the perfect way to start your morning! This classic fruit combination goes perfectly with creamy greek yogurt in a smoothie! 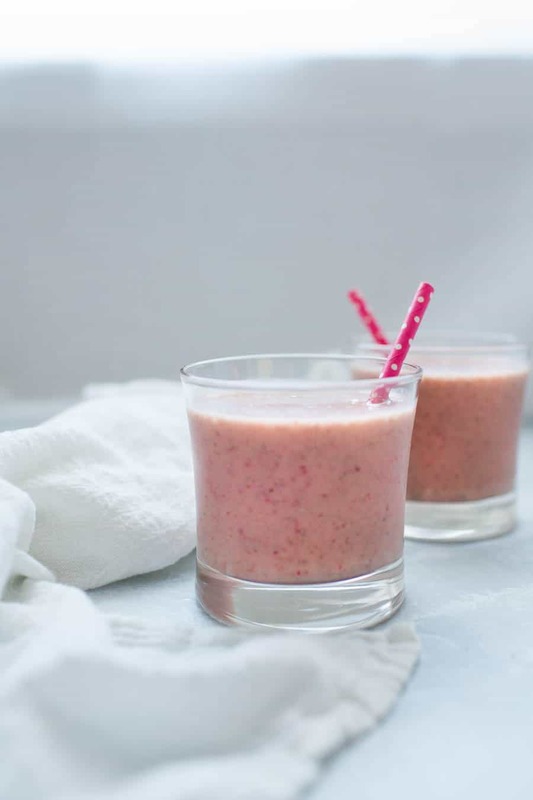 This fruit and yogurt smoothie is a perfect way to start your morning with a healthy breakfast. 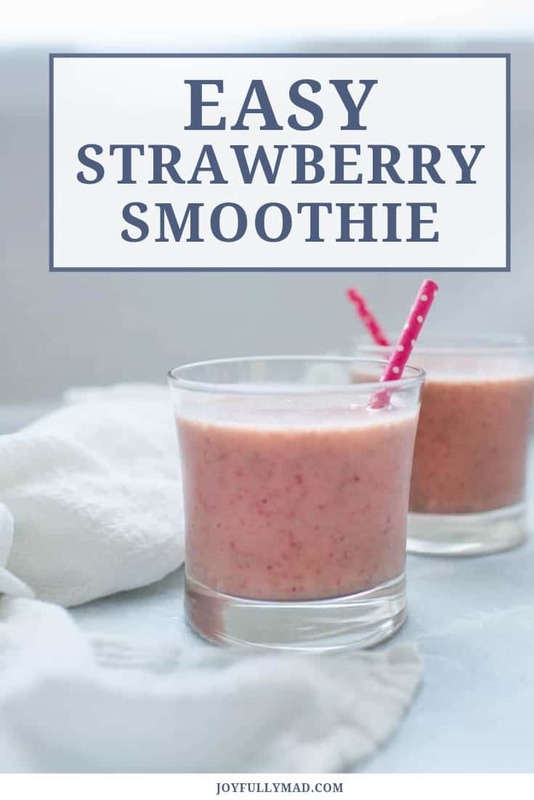 This makes a great post workout shake when you add protein powder to it or a fun toddler smoothie that you can feel good about serving to your family. Learning to make smoothies at home was a game changer for me. Really, they are so simple! The most difficult part is the order of your ingredients. Once you master the simple technique for making smoothies at home, you’ll be making them with all kinds of different combinations. Some of our other favorite smoothies with yogurt recipes are blueberry greek yogurt smoothie and chocolate strawberry smoothie. Start with the solid or frozen ingredients on the bottom and add your liquids on the top. This will help everything blend consistently! If your blender doesn’t seem to be blending easily, you need to add a splash more of almond milk at at time until it begins blending smoothly. If you’re using fresh fruit versus frozen, you’ll need less liquid to make a thick and creamy fruit smoothie. 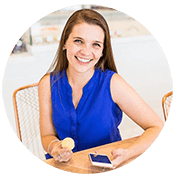 Once you get comfortable making smoothies, you’ll be able to create your own fun combinations depending on what kind of fruit, juice and yogurt combinations you have available. 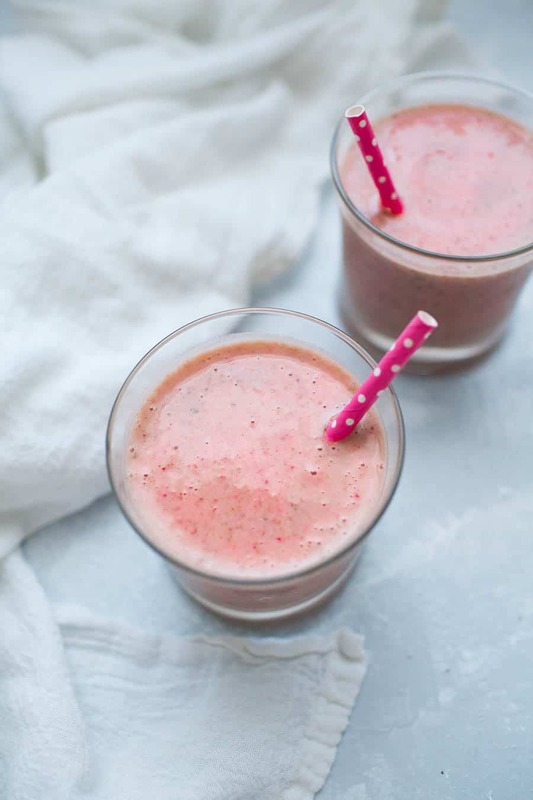 Another favorite of ours is this fruit and kale toddler smoothie! How do you add more protein to smoothies? This is one of the reasons I love adding greek yogurt to my fruit smoothies. Greek yogurt smoothies are filling because they’re packed with protein from the yogurt. peanut butter chocolate protein powder) to this smoothie with greek yogurt. What kind of blender do you need to make a smoothie? Magic Bullet is great. 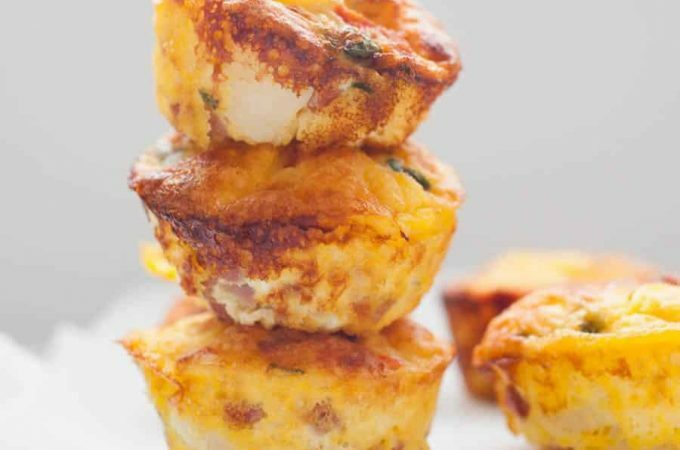 You’ll want to half this recipe for an individual serving size! 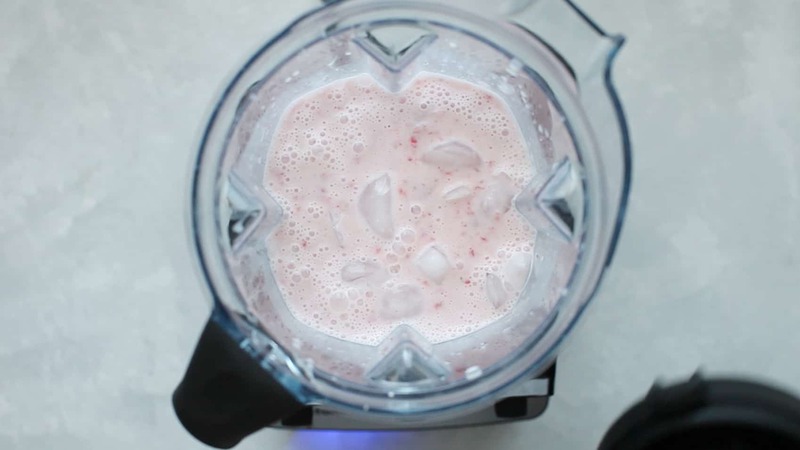 Add ingredients to blender, starting with any frozen fruit or ice, then adding the yogurt and finally the milk on top. 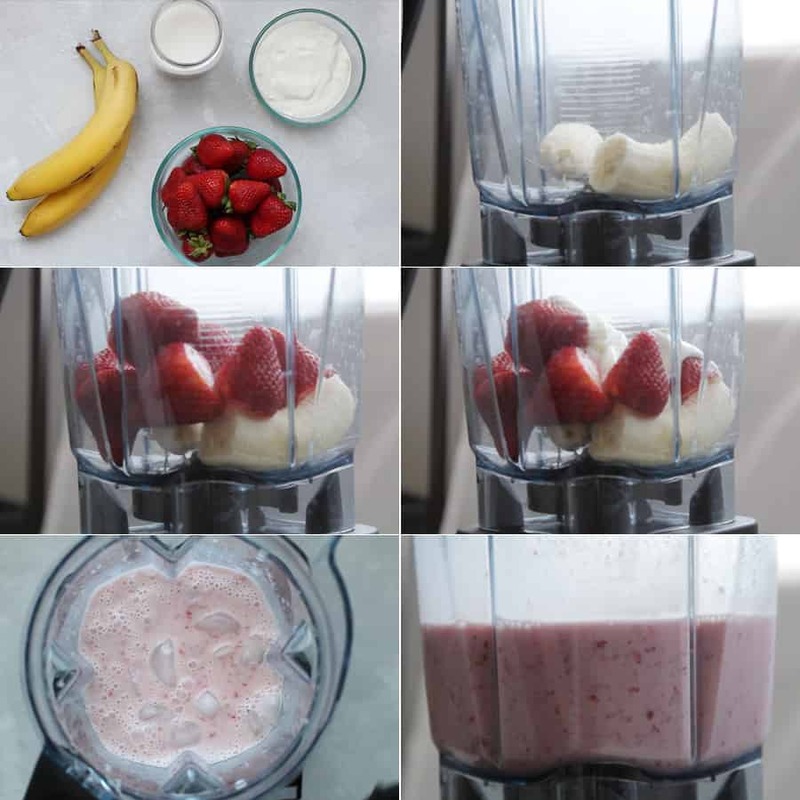 Blend until fruit is completely blended. If the smoothie is too thin, add ice or more yogurt to thicken it up. If the smoothie is too thick, add greek yogurt to make the smoothie thinner. Drink immediately or store in a glass mason jar until you’re ready to drink it. What kind of yogurt should you use in smoothies? You should use plain greek yogurt that has more grams of protein than sugar. Using plain greek yogurt gives you the good fat content you want from yogurt, but without added sugar. Because you are blending the yogurt with fruit, there really is no need for additional sugar. It will be sweet enough just with fruit. What ingredients do you need for a fruit smoothie? The best part about smoothies is you really can use whatever you have on hand. 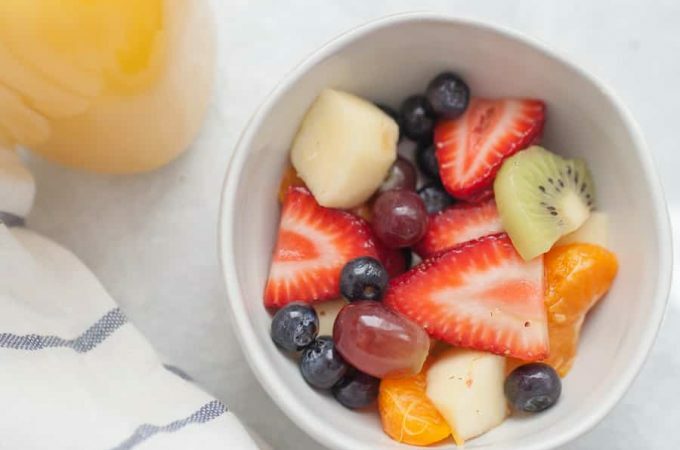 But the types of ingredients that should be used are first, frozen fruit like strawberries, bananas, mango, pineapple, and you can also throw in frozen veggies too to make a green smoothie. Second, your liquids, like plain greek yogurt and milk or juice if you’re using frozen fruit to help it blend. 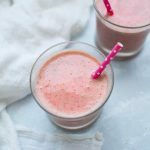 Should I use frozen or fresh fruits for smoothies? Either will work! If you’re using fresh fruit, you may need to add ice to help the smoothie be the right consistency. How do you make smoothies ahead of time? There are two ways to do make smoothies ahead of time. One is to make them the night before and store them overnight for the morning. The other is you can prep them ahead of time by adding all of the fruit/veggies into a muffin tin and freezing them. 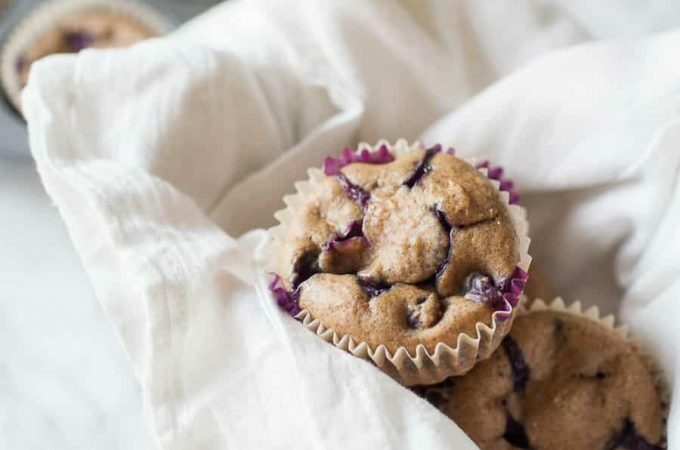 Then you can remove the ingredient “muffins” from the tin and put them in Ziploc bags to store. Take out one or two at a time, add your liquid and blend them up! How do you make smoothies thicker? Thick smoothies always start with frozen fruit which keeps water content down. 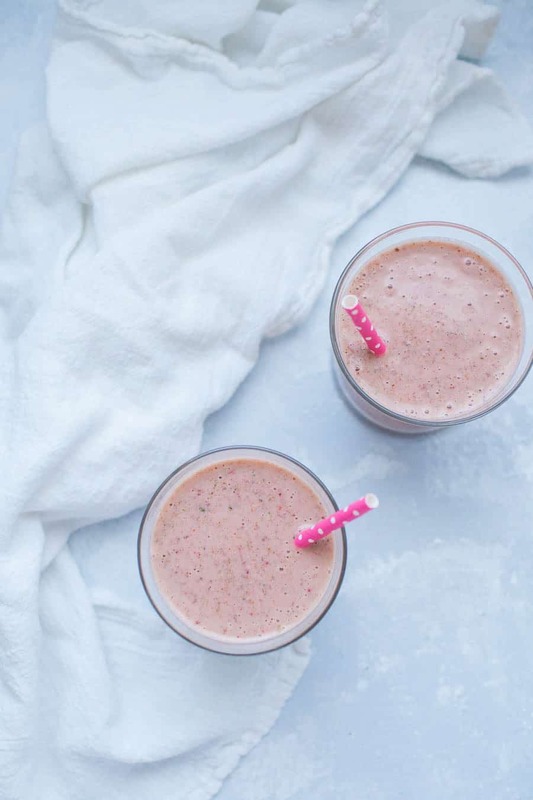 If you find your smoothie still isn’t as thick and creamy as you’d like, the two best ways you can thicken smoothies is either by adding ice or to add more yogurt! How do you make a smoothie thinner? If your smoothie gets too thick, you can easily thin it out by adding more liquid, whether that is milk or juice! What tools do you need to make a smoothie? If too thick, add extra almond milk. If too thin, add in yogurt or ice. To make smoothie thinner, add ice or more yogurt to thicken it up. To make smoothie thicker, add greek yogurt to make the smoothie thinner. putting almond milk in the smoothie is genius! i’ve been making TONS of smoothies in this first half of pregnancy, and adding spinach has also been a good way to get extra nutrients. I’ve really been wanting to try adding some greens into a smoothie but I am too scared to! I love adding greek yogurt to smoothies! It gives them such a great consistency. I’m not big on bananas, but I love strawberry smoothies. Greek yogurt is the best, I haven’t had regular yogurt in over a year probably because I just love the consistency of Greek yogurt! Yum! I recently bought a new blender and have been on a new smoothie kick too. 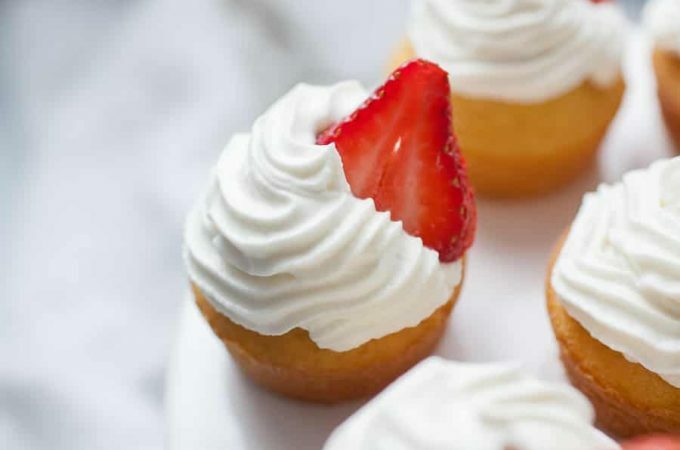 They are so much easier + cheaper to make them at home! Love this combo. They’re the best! So light but really filling, which is always good! It sure does! Thanks for the comment, Cristi! We had this for breakfast today and my toddler loved every sip of it! This recipe was very easy to follow.